Presents offers the highest quality international branded jewelry, featuring sterling silver treasures selected from the best designers around the world. The highlight of our collection is the Pandora brand, with their reputation for beautiful, creative designs and an obsession with purity of materials. Pandora makes its own sterling silver, uses only 14k and 18k solid gold, and chooses from more than 40 types of dazzling gems, including diamonds, which are hand-set into outstanding bracelets, necklaces and earrings. 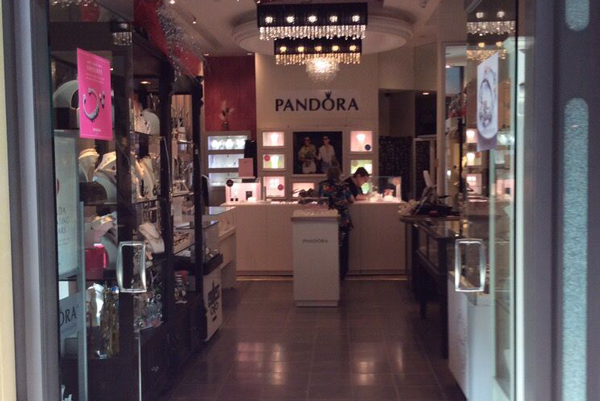 PANDORA only available at Niagara Falls location.